I have never been one to avidly take daily vitamins. However, after a few months of complaining of constant fatigue, general stress, an always uncomfortable stomach and more annoyances, I made an appointment with Mary Jane O’Byrne. A registered Acupuncturist, Nutritional Microscopist and Certified Biofeedback Therapist with a specialty in stress management who also practices Traditional Chinese Medicine, this woman knew the ins and outs of my body more after an hour than I ever could in my entire life. After looking at my blood cells through a microscope, O’Byrne immediately discovered that I was anemic, meaning that my blood lacked red blood cells and had a low hemoglobin. As a result, my body was not getting the oxygen it needed, thus causing the fatigue I had been experiencing. After many other tests and questions, I was prescribed about 10 different vitamins, each with a different purpose, to take multiple times daily, including a blood booster to combat anemia. However, this wasn’t the only solution to my problems. O’Byrne emphasized the importance of a healthy, vitamin and mineral-rich diet rich to aid the side effects I had been experiencing. After my personal experiences with doctors and researching other opinions, incorporating vitamin supplements into your lifestyle is really just dependent on your body. So, I’m not saying that you need to visit a microscopist in order to figure out which vitamins work best for you or avoid supplements entirely. What is important to understand is that you can't subsidize a healthy, balanced diet and daily exercise with vitamins, but adding in a few extra supplements can help your body! What are you not getting in your diet? Due to allergies, food preferences or working with a college budget, sometimes getting a lot of fresh produce or vitamin-rich foods is not always an option. For example, it’s largely common for vegetarians to lack iron due to the meatless diet. According to the National Institute of Health, “vegetarians who do not eat meat, poultry, or seafood need almost twice as much iron,” because the body doesn’t absorb plant-sourced nonheme iron as it does when its from animals. If this applies to you, maybe hop on the iron supplement bandwagon! What does my body actually need? 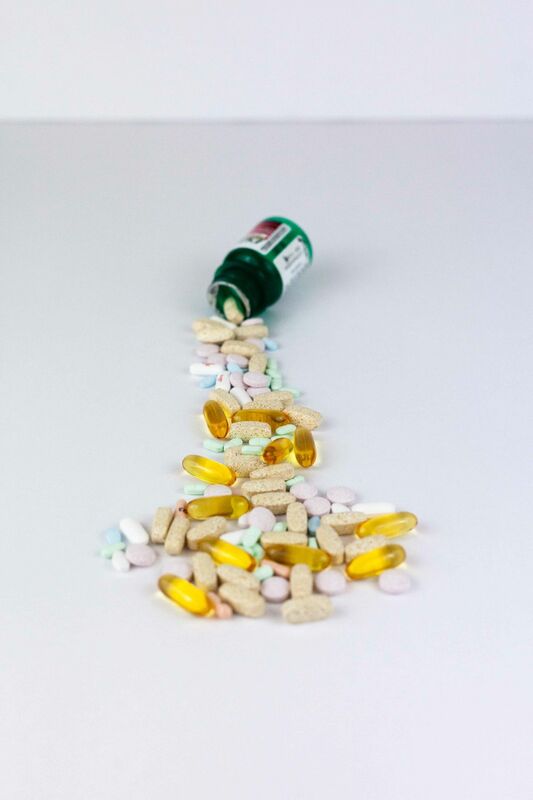 We may think buying vitamins of all kinds will help all of our problems, but that’s probably not true. That being said, it’s not uncommon to experience deficiencies. Take vitamin D for example, which most University of Oregon students are deprived of in winter. According to Weather Atlas, the average amount of sunlight in Eugene per day in January is only three hours. More likely than not, you experience vitamin D deficiency, so perhaps investing in a supplement can be useful in fighting the winter gloom. As well as the typical vitamins like these, there are also other supplements that act as boosters, which can be additional help in maintaining health. Turmeric has become a hot topic in the food blogging and lifestyle industry, as it includes properties that prevent inflammation. Zinc is another hit among college students, as it boosts immune systems, which is a necessity during cold and flu season. 3. Where are the vitamins coming from? Do some research on the brand you are using before you buy a bottle. While some carry the same vitamins, it can come from either synthetic or natural origins. Your body recognizes recognizes natural resources better than those made in a lab, so it may be better to use brands plant-based brands like Mega Foods. Do you appreciate independent student journalism? Emerald Media Group is a non-profit organization. Please consider a donation to support our mission. Emerald Essentials is the lifestyle publishing group of Emerald Media Group, University of Oregon's independent student media organization. Subscribe to receive the DailyE, our digital newsletter! Take a look at past DailyE Newsletters! Do you know of an exceptional student worthy of an award? Help celebrate the 7th annual 25 Ducks and nominate them now!